Home - Schaap Moving Systems, Inc. Whether you're moving across town, across the state or country, or internationally, Schaap Moving Systems has the experience and know-how to make it happen smoothly. We track where your possessions are and know when they'll safely arrive. Schaap provides storage for both individuals and businesses and offers several options for long- and short-term storage. Warehouses in Albany, NY provide safe and secure storage. 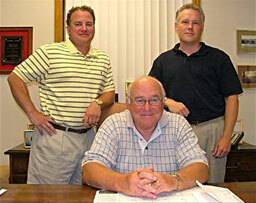 The Certified Shredding Services are perhaps the most important service of any of the Schaap Family of Companies. A certificate of destruction is issued stating when the paper was destroyed and the individual responsible. Schaap Records Management offers file storage cartons; packing services; detail indexing of files in every carton; and access and delivery any time of the day or night. We can also provide access to your inventory via the Internet, hard copy printouts, or your inventory on CD. Our office moving specialists will help you meet your relocation objectives while planning for business continuity, ensuring critical office assets and systems experience minimal downtime due to transit and installation. Founded in 1922 by brothers Theodore and Raymond, Schaap Moving proudly serves families and businesses throughout upstate New York. For over 35 years the family-owned company has been an agent for United Van Lines, allowing us to provide service across town, across the country, and even internationally. Regardless of the services you require, the Schaap Family of Companies is committed to providing you with the best value for your dollar. The goal of the family has always been to exceed the expectations of the people we serve. © 2019 Schaap Moving. All rights reserved.